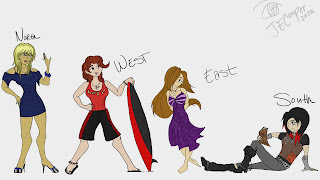 I had to create 4 very different, very distinct characters, based a bit off of North, East, South and West (directions). Anyways, I thought the drawings themselves turned out well, so I thought I'd put them up, along with their bios, if anyone would like them. They were fun.